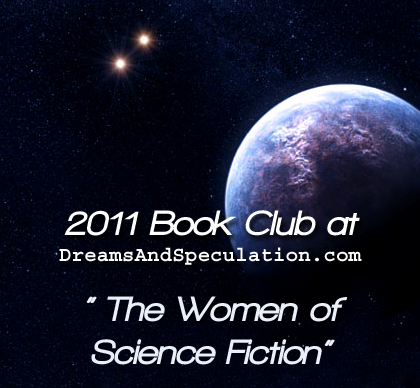 2011 Book Club: "The Women of Science Fiction"
Dreams and Speculation is hosting a book club in 2011, with each month featuring a book by a prominent female science fiction author. I will be participating in two of the monthly reads: Lilith's Brood by Octavia Butler in June and The Handmaid's Tale by Margaret Atwood in November. Be sure to stop by for my reviews! cute blog. Thanks for the Challenges heads up.